1. REPAIR FOR DRY DAMAGED HAIR – Massive tick against this one! I get my hair cut every 8 weeks, in weeks 6-8 due to my hair being coloured a lot and very fine my locks start to get ratty and knotted – the hobo look ain't cool! I can’t straighten it at this point as it’s too frizzy. However I am currently on week 10 (I am too poor to get my hair cut at the moment) but you would know! It’s in fab condition, not drying at all and I keep getting complements on how nice it currently looks! 2. SHINE AND FRIZ CONTROL – IT makes my hair look sleek, healthy and glossy which all equal a very happy Gemma! 3. HEAT PROTECTION – added bonus! 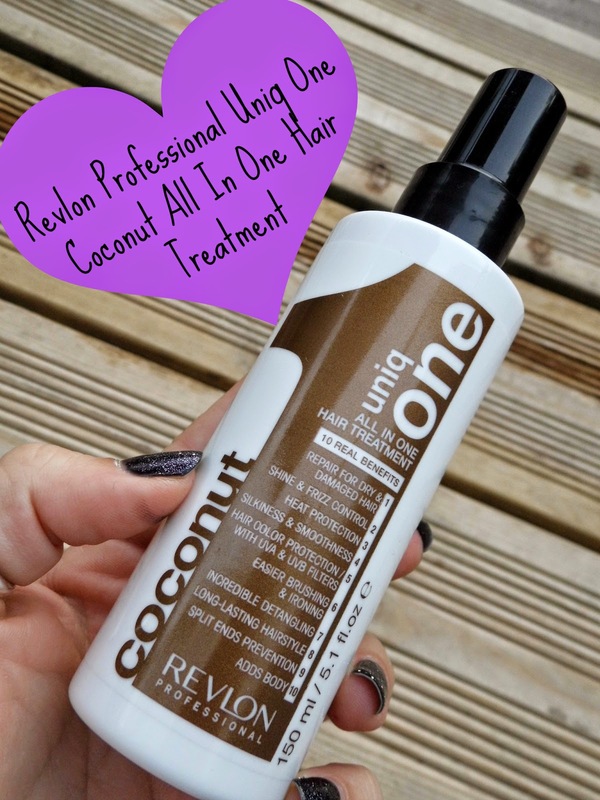 I hate using tons of different products on my hair so love that Uniq One does it all! 5. 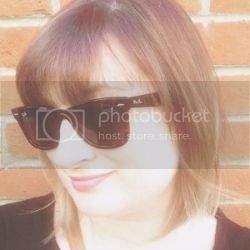 HAIR COLOUR PROTECTION WITH UVA AND UVB FILTERS – Everyone keeps asking if I’ve coloured my hair again lately, it’s not been dyed for nearly 3 months, this spray has definitely helped to maintain and brighten the colour. 6. EASIER BRUSHING AND IRONING – My hair can be a knotty mess but since using this it’s been so much easier to brush. 7. INCREDIBLE DETANGLING – No 6 & 7 go together in my world and this stuff is magical! I am no longer ripping my hair out when trying to brush it and as a result of this it now feels and looks a lot thicker! 8. LONG LASTING HAIRSTYLE – I don’t really do much with my hair in terms of styling, I either blow dry it straight or its up in a messy bun. I would say it looks a lot tidier for longer if that makes any sense! 9. SPLIT ENDS PREVENTION – Normally I would look like I need a haircut and you can spot the frizzy ended result of split ends a mile off with my locks, but not this time! It’s still looking pretty sleek! 10. ADDS BODY – As someone who suffers from fine flat hair, it is a massive pain, but since using this I have noticed it has a little more oomph to it which is a fantastic bonus! I am also a sucker for coconut scented products and this smells divine! I can still smell it in my hair hours after use which I love. It’s also so easy to use, I just spray it into damp hair then blow dry and style like usual. No need for any other products as this one covers all bases! Its costs £13.99 and a bottle goes a long way. This spray conditioning spray has definitely become a daily staple for my hair. Have you tried this product before? Do you love it as much as I do? Oh this must be something I have to look into. I've bleached and coloured my hair way too much and it shows so I'm always on the look out for anything that will improve the condition of it.